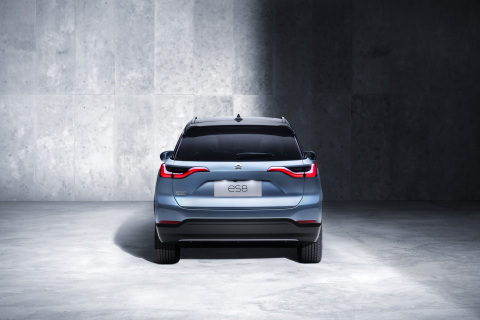 BEIJING--(BUSINESS WIRE)--NIO celebrates the first "NIO Day" at Beijing Wukesong Arena with the official launch of the ES8 SUV. 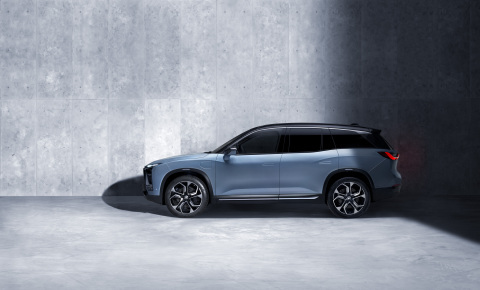 The NIO ES8 is a 7-seater high performance electric SUV. 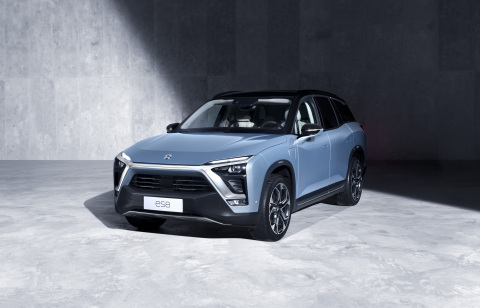 The NIO ES8 has a base price of RMB 448,000 before subsidies, with 10,000 Founder's Editions available for RMB 548,000. A battery rental plan is available to NIO users, which provides a RMB 100,000 discount on the purchase price of the ES8. The battery rental subscription is RMB 1,280 per month and enables ES8 owners to enjoy battery upgrading services, along with quality assurance, roadside assistance, car connectivity, and nationwide charging services. The NIO ES8 is customized and will be made to order. Those interested in purchasing an ES8 can place an order through the NIO App. With both front and rear motors, the NIO ES8 delivers 480 kilowatts of power and 840 Newton meters of torque to all four wheels. This E-powertrain enables the ES8 to accelerate from 0-100 km/h in just 4.4 seconds. The latest active air suspension on all ES8's models creates comfortable, connected riding experience. The ES8 is equipped with a 70-kilowatt-hour liquid-cooled battery pack comprised of cutting-edge VDA square cell batteries. These cells feature the highest energy density of their kind and provide a 2,000-charge lifecycle. The ES8's drag coefficient is as low as 0.29. The ES8 achieves over 500 kilometers of range when constantly run at 60 kph, and the car achieves an NEDC range of 355 kilometers. The ES8 goes beyond five-star safety. The ES8 is the first car to have an all-aluminium body and chassis featuring aerospace grade 7003 series aluminium alloy, enabling a torsional stiffness of 44,140 Nm/Deg. The ES8 features the highest amount of aluminium for any mass production car. With the excellent passive safety design and 21 active safety features, the ES8 stands out among vehicles in its class. The ES8 is produced at a world-class fully automated factory. The R&D, design, supply chain, and factory ensure the ES8's premium quality. The ES8 will finish a 3,000,000 km road test before NIO begins delivering the vehicle to users. The ES8 has a 3,010 millimeter long wheelbase, the longest in its class, to create a truly mobile living space. 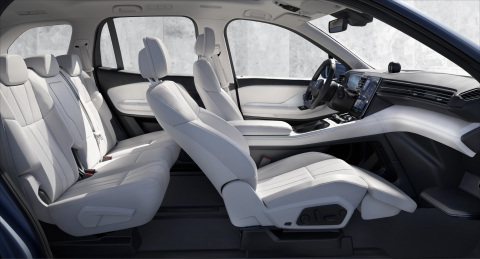 The three-row, seven-seat layout makes full use of the interior space. The innovative "lounge seat" and "child-care mode", together with the Nappa leather wrap, creates a cozy atmosphere, making users feel at home. The smart air quality system includes an activated carbon and HEPA filter and negative ion generator. NIO launches NIO Pilot, its comprehensive advanced driver assistance system. 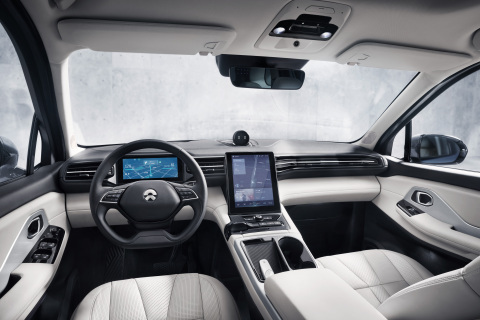 NIO PILOT is enabled by 23 sensors, including a trifocal front-facing camera, four surround exterior cameras, five millimeter-wave radars, 12 ultrasonic sensors and a driver monitor camera. The ES8 is the world's first vehicle to come equipped with the Mobileye EyeQ4, which has a computation capacity nine-times more powerful than its predecessors. NIO PILOT's software and hardware suite enables subscribers to enjoy upgraded services through FOTA updates. NIO introduces NOMI, the world's first in-car AI system. Powered by both in-car and cloud computation, NOMI interacts with people sitting in the vehicle and its emotion engine gives users a friend on the road. NOMI combines the ES8's intelligence and car connectivity functionalities to turn the ES8 into a fun, expressive, and intuitive companion that can listen, talk, and help drivers along the way. NIO unveils NIO Power, a new charging experience that allows the ES8's battery to be swapped in three minutes. NIO Power also includes NIO Power Home, super charger network, and Power Mobile. Power Mobile is a brand-new power service product developed by NIO, which enables an ES8 to run 100 kilometers after charging for ten minutes. By 2020, NIO plans to build over 1,100 Power Swap Stations and deploy over 1,200 Power Mobile vehicles. Powered by big data and cloud services, NIO's power cloud connects each of the super chargers, power swap stations, NIO Mobile vehicles, battery pack, ES8, NIO Specialist and NIO's user. As a result, NIO's users can enjoy worry-free power services with just one click. The same mobile connectivity is also applied to vehicle services. NIO's services cloud also integrates each of the NIO House, repair center, delivery center, service car, ES8, NIO Specialist and NIO user to provide worry-free services. "We hope that we can have more people interested in smart electric vehicles by presenting ultimate products and services, and then we can achieve our vision of bringing back blue skies," NIO Founder and Chairman, William Li, said at the inaugural NIO Day. "NIO wants people to enjoy owning a car again and aspires to redefine the experience of owning a car. The ES8 launch is another beginning for NIO." About NIO: Founded in November 2014, NIO is a global company with world-class research and development, design, manufacturing centers and user service centers in Shanghai, Beijing, San Jose, Munich, London, and fourteen other locations. NIO has more than 4000 employees from nearly 40 countries. The NIO Formula-e team secured the inaugural drivers' championship title in 2015. In 2016, NIO unveiled the fastest electric car in the world, the EP9. The EP9 set the lap record for an electric vehicle at Nürburgring's Nordschleife and three other world renowned tracks. In 2017, NIO unveiled the vision car EVE and announced that the NIO EP9 set a new world speed record for an autonomous vehicle at the Circuit of the Americas Race Track. NIO's latest production car, the ES8, was unveiled at 2017 Shanghai Auto Show.